Happy New Year! January brings new opportunities to venture out and explore the cultural richness of Los Angeles. January also brings one of my favorite Scandinavian events back to town, the annual Scandinavian Film Festival LA (SFFLA). The festival takes place this weekend, January 5 & 6, in Beverly Hills and continues the weekend of January 19 & 20. For a look at what’s being offered this year, check out 20th Anniversary of Scandinavian Film Festival LA: A Preview. I’ll be at the festival a lot as a volunteer and hope to see you there! How will you take advantage of all that Los Angeles has to offer this month? Undiscovered Chinatown Walking Tour, Chinatown, Downtown LA, Saturday, 1/5, 10:30 a.m. – 1:00 p.m. (Offered every first Saturday of the month). Visit a temple, an herbal shop, art galleries, antique stores, and more! The 2 1/2 hour walking tour will take visitors to a number of off-the-beaten-track points of interest and will guide those interested in shopping to some of Chinatown’s best bargains and its trendiest shops. Be prepared to wind your way through a myriad of alleyways, plaza stalls, and classical courtyards to discover the charm of L.A’s Chinatown. Queen of Katwe: Screening + Discussion with the Queen of Katme Herself, Phiona Mutesi, Bowers Museum, Santa Ana, Saturday, 1/5, 12:00 p.m. – 3:00 p.m. 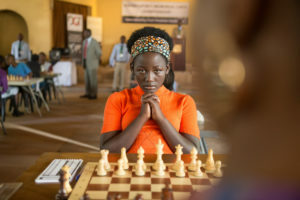 Witness a celebration of the human spirit in Disney’s Queen of Katwe, the story of a Ugandan girl’s life which changes forever when she discovers her amazing talent for chess. Screening is followed by a discussion with Phiona Mutesi, whose vibrant true story is the subject of the film. Hop over to Kidseum after for a chess demonstration with the Queen of Katwe herself! Canada: Inuit: Standing Sculpture (Family Art Workshop), Junior Arts Center at Barnsdall Art Park, Hollywood/Los Feliz, Sunday, 1/6, 10:00 a.m. – 12:00 p.m. Join instructors for a free family art workshop in a real art studio. Each Sunday a different culture and media are featured. All materials are provided. India Festival of Kites, Bowers Museum, Santa Ana, Sunday, 1/6, 11:00 a.m. – 3:30 p.m. Celebrate the beauty and excitement of Indian culture with artmaking, face painting, dance and music including a special performance by SADUBAS, aka The Sadhus of Bass! This duo converges classical Indian rhythms with ‘70s Bollywood vibes to create psychedelic soundscapes that are one part trip-hop and two parts cinematic South Asia. DJ/producer Ameet Mehta and tabla artist Robin Sukhadia present visuals and sound inspired by Bollywood funk and Indian Classical music. Oshogatsu Family Festival – Year of the Boar, Japanese American National Museum, Little Tokyo, Downtown LA, Sunday, 1/6, 11:00 a.m. – 5:00 p.m. 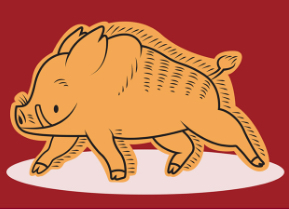 Welcome the Year of the Boar with crafts, food, cultural activities, and performances! Highlights of the day will include live art performances combining taiko and calligraphy; mochitsuki (rice pounding) demonstrations, with mochi samples for tasting; an artist conversation with Mark Nagana followed by a toy and print signing; tasting of osechi-ryori, traditional Japanese new year foods; and candy sculpting. There will also be a variety of craft activities, souvenir photos, and more. Visit website for schedule of events and activities. Three Kings Day / Dia de los Reyes, Olvera Street, Downtown LA, Sunday, 1/6, 6:30 p.m. Celebrate the arrival of Los Tres Reyes, also known as the Ephiphany. Hear the story of the journey taken by Three Kings, or Wise Men, to find Jesus after his birth. Though the celebration has Christian and Catholic roots, all are welcome to participate. Rondalla del Sol will perform for the evening and then guests are invited to follow the Kings to the rosca. The traditional rosca, or sweet bread, is given to all in attendance. Inside of the bread are randomly placed plastic babies (representing the baby Jesus). Tradition dictates that the person(s) who finds the baby has to plan the party for next year. But at Olvera Street, the lucky ones who find these babies will win a prize that evening—a gift from the Kings! USA: MLK I Have A Dream Collage (Family Art Workshop), Junior Arts Center at Barnsdall Art Park, Hollywood/Los Feliz, Sunday, 1/13, 10:00 a.m. – 12:00 p.m. Join instructors for a free family art workshop in a real art studio. Each Sunday a different culture and media are featured. All materials are provided. 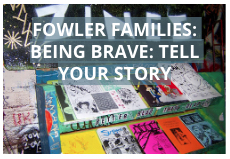 Fowler Families: Being Brave: Tell Your Story, Fowler Museum at UCLA, Westwood, Sunday, 1/13, 1:00 p.m. – 4:00 p.m. What does bravery mean to you? Children of all ages are invited to explore this question in a zine making workshop. Join Fowler Educators for a 15-minute guided tour exploring bravery in the permanent exhibition Intersections: World Arts, Local Lives before learning how to illustrate your own courageous tale. Guided tours begin at 1:00 p.m. and occur every 30 minutes. Greece: Mosaic Gods and Goddesses (Family Art Workshop), Junior Arts Center at Barnsdall Art Park, Hollywood/Los Feliz, Sunday, 1/20, 10:00 a.m. – 12:00 p.m. Join instructors for a free family art workshop in a real art studio. Each Sunday a different culture and media are featured. All materials are provided. Sand Mandala: Opening Blessing Ceremony, USC Pacific Asia Museum, Pasadena, Sunday, 1/20, 12:00 p.m. USC Pacific Asia Museum is proud to host Tibetan monks from the Drepung Gomang Monaster. 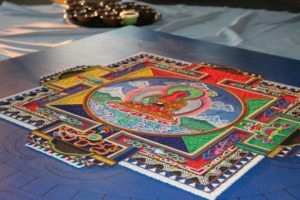 They will spend one week creating a sand mandala, a Tibetan Buddhist tradition that involves the creation and destruction of paintings made from colored sand. Once completed, it is ritualistically dismantled to symbolize the Buddhist belief in the transitory nature of material life. The opening blessing ceremony will take place on Sunday, January 20, at 12:00 p.m. and the closing dissolution ceremony will take place on Saturday, January 26, at 12:00 p.m. Museum visitors will be able to observe the creation of the mandala during regular public open hours. Free with museum admission. 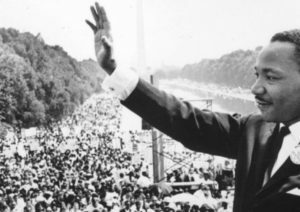 Martin Luther King Jr. Day Celebration, California African American Museum, Exposition Park, Los Angeles, Monday, 1/21, 10:00 a.m. – 5:00 p.m. Celebrate Martin Luther King Jr. Day by surrounding yourself with art, culture, and community. Enjoy an array of vibrant programs and activities for all ages. Bring the kids for art-making activities, a march, and delicious food truck fare; visit our exhibitions, hear a marathon reading of King’s lesser-known speeches and sermons, groove to DJ-provided tunes, and much more—free for everyone! Visit website for schedule of events and activities. Little Tokyo Walking Tour, Japanese American National Museum, Downtown LA, Saturday, 1/26, 10:15 a.m. – 12:15 p.m. 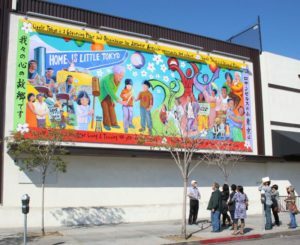 Learn about past and present-day Little Tokyo on a walking tour led by an in-the-know JANM docent. From murals to monuments, explore both the popular and lesser-known gems of this bustling neighborhood. Buy tickets in advance. $12 members, $15 non-members. Museum admission is included. Limited to 20 participants. Weather permitting. Sand Mandala: Closing Dissolution Ceremony, USC Pacific Asia Museum, Pasadena, Saturday, 1/26, 12:00 p.m. USC Pacific Asia Museum is proud to host Tibetan monks from the Drepung Gomang Monaster. They will spend one week creating a sand mandala, a Tibetan Buddhist tradition that involves the creation and destruction of paintings made from colored sand. Once completed, it is ritualistically dismantled to symbolize the Buddhist belief in the transitory nature of material life. The opening blessing ceremony will take place on Sunday, January 20, at 12:00 p.m. and the closing dissolution ceremony will take place on Saturday, January 26, at 12:00 p.m. Museum visitors will be able to observe the creation of the mandala during regular public open hours. Free with museum admission. France: Clay Gargoyle Sculpture (Family Art Workshop), Junior Arts Center at Barnsdall Art Park, Hollywood/Los Feliz, Sunday, 1/27, 10:00 a.m. – 12:00 p.m. Join instructors for a free family art workshop in a real art studio. Each Sunday a different culture and media are featured. All materials are provided. Fowler Families: Doors to Our Dreams, Fowler Museum at UCLA, Westwood, Sunday, 1/27, 1:00 p.m. – 4:00 p.m. Discover the elaborately carved doors featured in the special exhibition World on the Horizon: Swahili Arts Across the Indian Ocean before illustrating your own door using paper and a variety of mark-making materials. 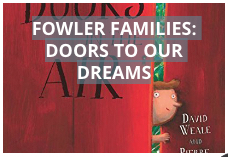 Find inspiration as a Fowler Educator reads David Weale’s short story Doors in the Air, in which a young boy marvels at how stepping through a doorway can transport him from one world to another. Where will your door lead you? The reading will occur in this special exhibition at 1:00 p.m., 2:00 p.m., and 3:00 p.m. 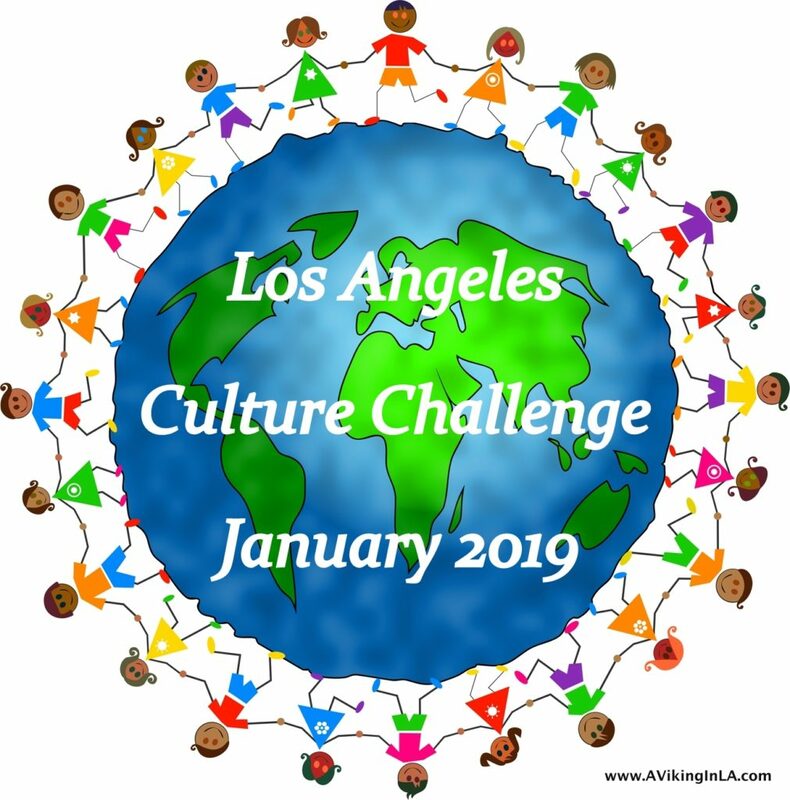 This entry was posted in Culture Challenges, Los Angeles & Environs and tagged SFFLA by Patricia Zanuck. Bookmark the permalink.